Private Mentorship Training – ONLY 3 SPOTS LEFT!! That’s right – we only have three spots remaining for the Private Mentorship group training program, an amazing deal. You can attend group lessons for an unbeatable price of $3800 (two separate payments, the second deducted automatically 30 days after the first payment). These private group lessons include everything the normal one-on-one Private Mentorship Program does, only for far less! We expect these final seats to fill quickly. Lock in your payment and get ready to trade price action like never before! 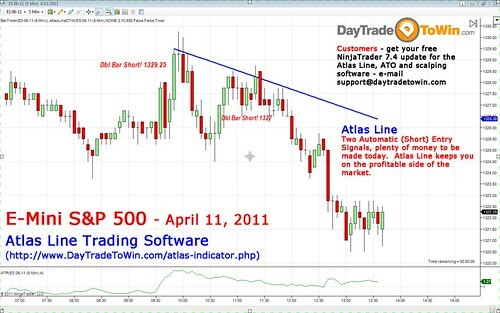 Remember, this $3800 program includes all Day Trade to Win software and method (Atlas Line, ATO, etc.) just like the one-on-one program does. You’ll get lifetime licenses and access to the live training / trading room with John Paul. Atlas Line, ATO and scalping customers – remember to contact us for a free software update to ensure compatibility with the latest version of NinjaTrader, 7.4. • Please include the name used during the original transaction. • Please include your Machine ID. You can find out more about what’s included with the NT 7.4 update here.